The agility and driving enjoyment of a compact hatchback. 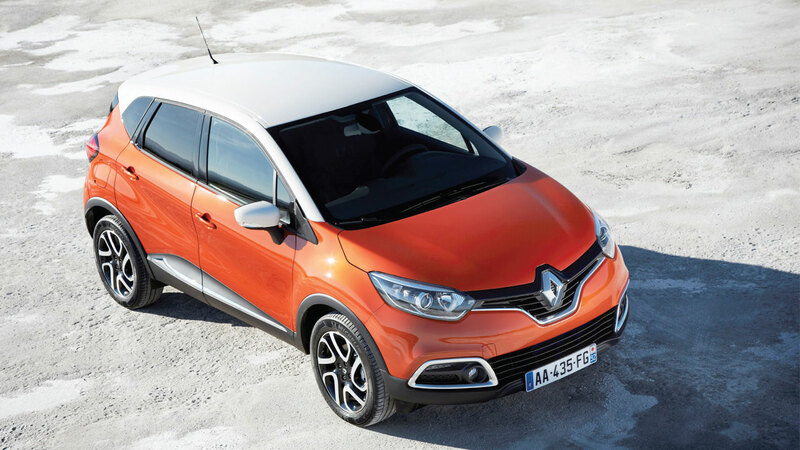 Renault Captur’s smooth, fluid, balanced forms express an assertive, yet unostentatious, personality. 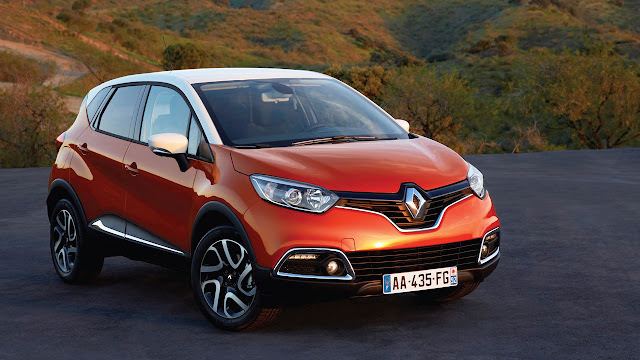 Its robust, upmarket look takes its inspiration from the Captur concept car, from which Renault has carried over both the spirit which guided its design, as well its evocative name. The lines of Renault’s new crossover are unpretentious, yet the forward position of its steeply-raked windscreen emphasises its dynamic stance. The combination of its compact dimensions, raised ground clearance, wide wheels and sill guards will enable it to take every aspect of everyday motoring in its stride. 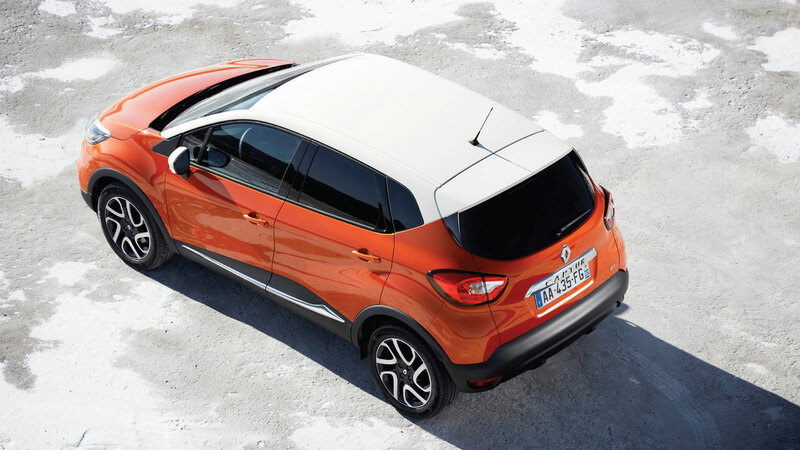 Renault Captur will be easy to customise and notably comes with an original two-tone colour scheme which produces an attractive contrast between the roof and pillars and the rest of the bodywork. 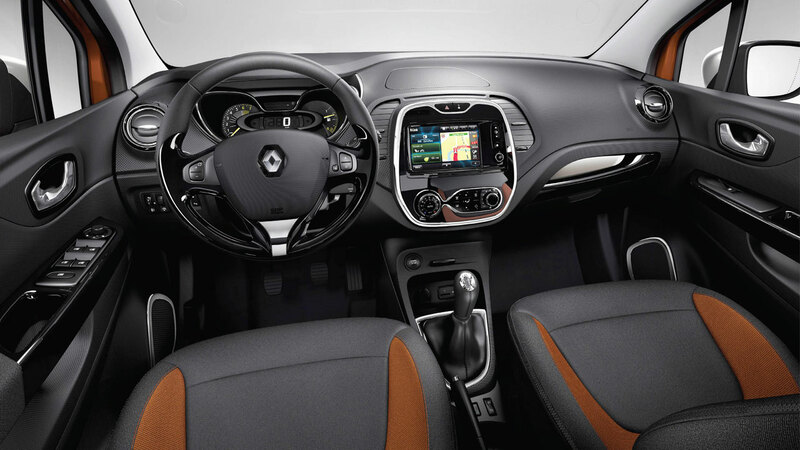 Despite its compact footprint (4.12m in length), Renault Captur exudes a real sense of interior space. Its colourful cabin is warm and relaxing, and this first impression is reinforced by interior customisation solutions based around a choice of colours and motifs for the different trim features. The standard Renault Captur will have an equipment specification worthy of that of the next segment up, including hands-free entry, hill start assist and rear parking sensors. Also available will be the new, connected, in-dash Renault R-Link touchscreen multimedia tablet, plus a system that comprises six loudspeakers, Bluetooth® connectivity, audio-streaming and Arkamys® hi-fi sound. Renault Captur is based on the same platform as New Clio, acclaimed as a B-segment benchmark when it comes to driving pleasure. It consequently delivers best-level dynamics, from roadholding to engine response and agile handling.